2. Mine or "dig", like mining or digging for precious stones. You can use your smartphone. Similar to 1 above. Kipsigaa is also an option. These are thieves who break into safes and vaults through hacking and steal. Choose what's convenient for you! 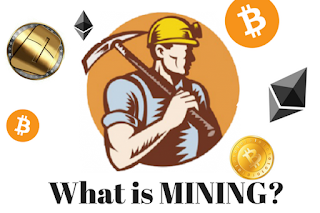 When you choose to mine, you can only mine one crypto at a time. Literally, you couldn't dig for gold and copper simultaneously. It's either or. Ripple is blowing the roof on its way up! Just how does Bitcoin work?